We have some exciting plans for litters in the next 18 months. We’ll be posting news about them as decisions are made. We finalized arrangements for Frankie. Please read about her upcoming litter. If you are interested in a puppy, visit our puppies page. Not only is Rowdy a winner in the show and field, he is a top producing sire. 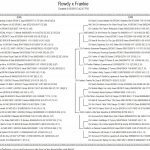 We used Rowdy to produce several of our champions and titled dogs including Bones, Sabine, China, Samantha, Brock, Eliza, Hannah, and JeanBean. 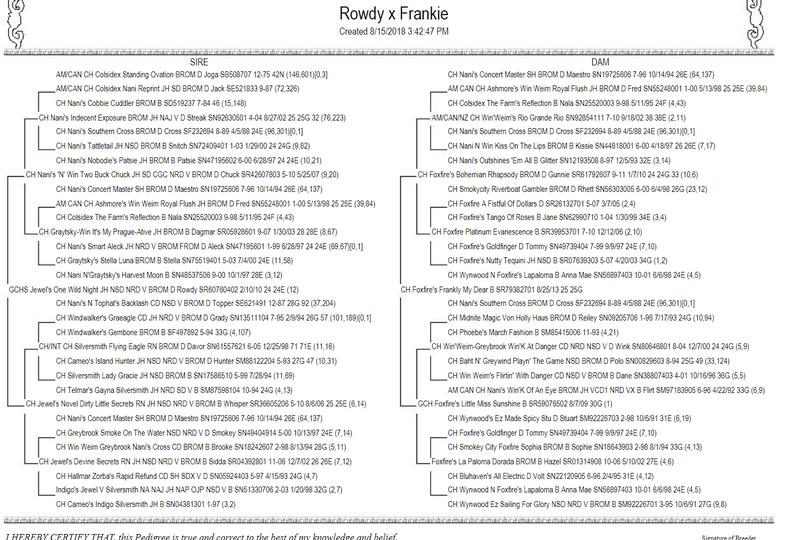 We choose Rowdy again because Rowdy and Frankie together represent ¾ of an already successful combination of dogs. He’s produced winning offspring with different breeders throughout the U.S., and continues to produce quality get and grand-get of type and distinction. Rowdy’s breeders and owners are Jewel Weimaraners, Chris and Steph Meyer of Fountain, Minnesota. Frankie’s claim to fame is her personality and her wonderful temperament. At 10 months old she won Best in Sweepstakes in conjunction with the 2014 W.C.A. National Specialty, and easily went on to finish her championship title. She has two legs of her JH title, but her “thing” is hunting for gophers and rabbits. Frankie had her first litter in February, 2018. Her puppies have the same characteristics we appreciate about her. Several of them will be competing in various disciplines, and are enjoying life as beloved pets. 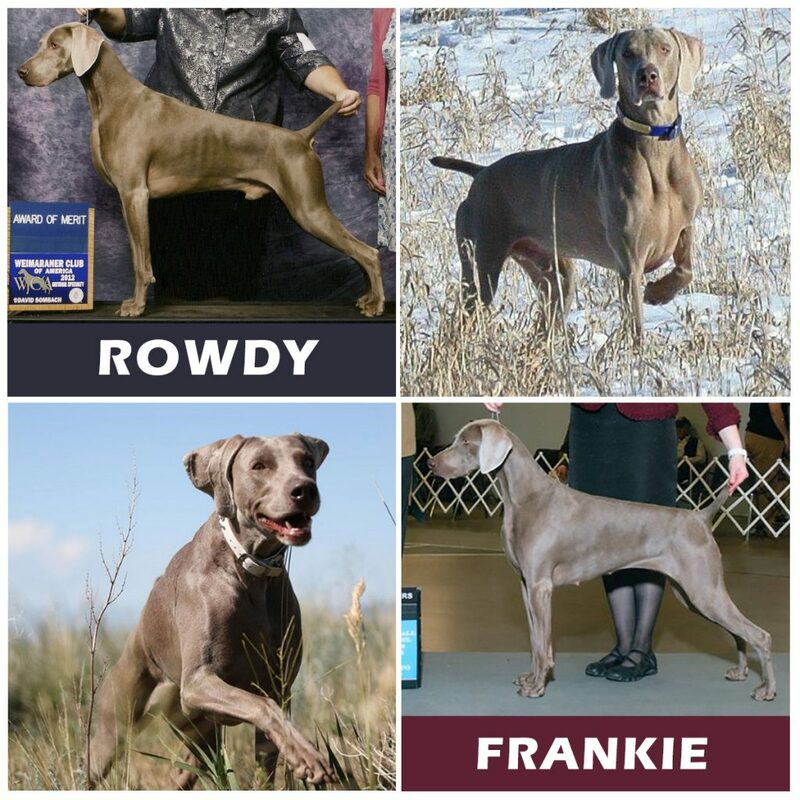 Frankie’s breeders and owners are Foxfire Weimaraners, Amy Fast, LaRita Fast, and George Hamamoto of Colorado Springs, Colorado. The litter will whelp with us here at Foxfire, in the Black Forest of Colorado. Click here to view pedigree. Puppies are available for competition and pet homes. We don’t have quite a clear timeline, but are aiming for the first ½ of 2019 for the litter to whelp. We are located in Colorado Springs, Colorado USA. We live on five acres just north of Colorado Springs with a beautiful view of Pikes Peak to the west, and the Colorado plains to the east. We are approximately 60 miles south of Denver, Colorado. We've owned Weimaraners for 30 years. We are home to best-in-specialty show winners, show champions, master hunters, grand champions, hunt-test, W.C.A. ratings, obedience and agility titled dogs. 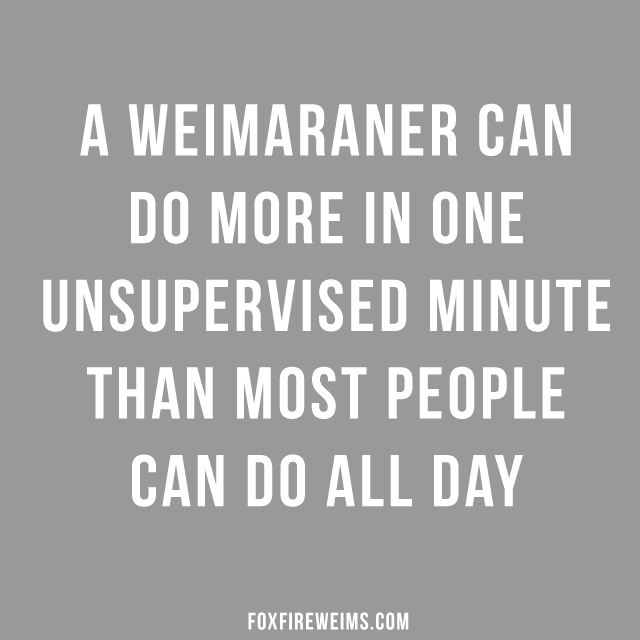 Please explore our web site to learn more about the success of our Weimaraners in the show ring, our Weimaraner puppies, our show champions, our breeding goals and who we are.